The first official movie trailer for Life of Pi has been released. Based upon the best-selling novel by Yann Martel, 'Life Of Pi' tells the story of a young man's incredible survival at sea against impossible odds. 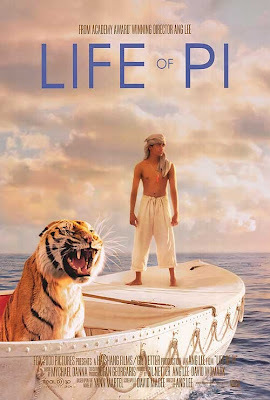 Life of Pi is directed by Academy Award Winning Director Ang Lee. That alone is worth the price of the ticket. The film stars Suraj Sharma as Pi and Tobey Maguire as Yann Martel. Life of Pi opens in theatres on November 21, 2012.